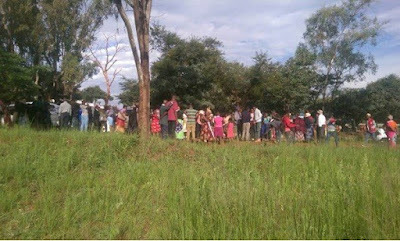 A 20-year old man from Gokwe, Zimbabwe committed suicide by hanging after leaving a text message directing his father where to find his body. Moses Makuvire of Zenda Business Centre in Gokwe North sent a text message to his father, Mr Samuel Makuvire directing him where to find his body. He, however, did not state reasons for committing suicide. Acting Midlands provincial police spokesperson, Assistant Inspector Ethel Mukwende, confirmed the incident. “I can confirm that we received a report of a case of sudden death by hanging of a 20-year-old man from Gokwe North. The now deceased sent a text message to his father notifying him of his intention to end his life. He directed him to where he was going to find his body but did not give reasons for committing suicide,” she said. “We appeal to members of the public to desist from the habit of taking their lives as this is not the best way to solve problems. We advise those facing challenges to engage third parties such as police, church, family members or community leaders,” she said. On Wednesday morning, a police officer stationed at Lupane Police Station in Matabeleland North province also committed suicide by hanging following an alleged infidelity dispute with his wife.